What Links The Beatles, Jimi Hendrix George Martin and a Hypnotherapist in Ipswich? I have been watching a lot of TV shows about the Beatles which in turn caused me to seek out the many MP3 leaks of them working on so many of their great compositions. 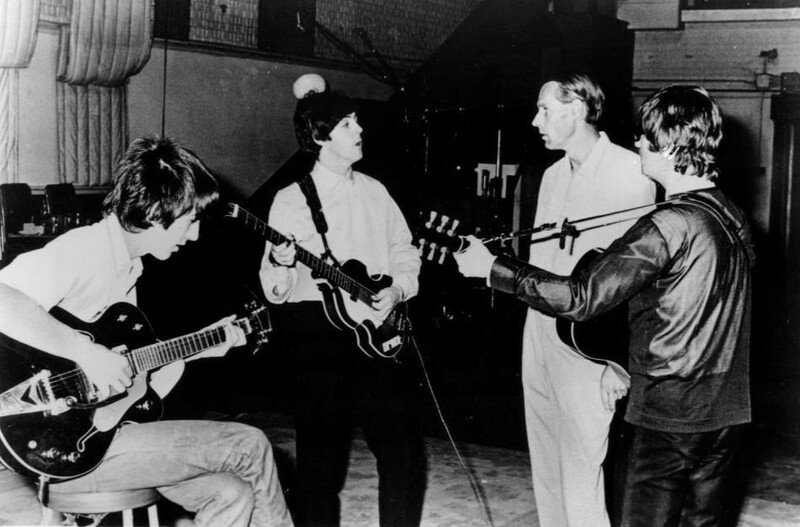 I also saw a programme on George Martin who was often called the “Fifth Beatle”. So how does all that link to a Hypnotherapist in Ipswich? When you hear The Beatles at work you realise that George Martin took all their creative challenges and made them happen. I listened to ObLiDi ObliDa as a Bossa Nova and realised that this would never have been as good as the ska inflected version of the final result! Penny Lane is far better for that Piccolo Trumpet vaguely mentioned by Paul McCartney as a “high trumpety thing” but realised and arranged by George Martin. The “strings from the Hitchcock Film” are understood by Martin to be the strings from Psycho as conceived by Bernard Herrman in the Shower scene and become the scherzo strings in Eleanor Rigby. George introduced The Beatles to many things like running music backwards and constantly took their creative challenges and arranged them and made them work and flawlessly produced them. George Martin was always the other part of that creative jigsaw and was partly responsible for all The Beatles best work. He was also consulted when Jimi Hendrix went into the studio for the first time and complained that he could not get the guitar sound that he heard in his head. His Producer consulted George Martin who remembered a flangeing effect from the 1940s which distorted sounds in an interesting way. The mono effect was developed into a stereo effect in an interesting way and Hendrix’s trademark sound was born! I am a Hypnotherapist based in Ipswich but also in Hadleigh Suffolk and Frinton on Sea and Colchester in Essex. I worked in Harley Street but I am also a Creative as I also have worked over many years as a Professional Actor Writer and Director and Drama and English Teacher. I have even appeared in Musicals professionally! I worked with Creatives in Harley Street to help them move forward. I was struck how my role in helping people to face up to and overcome their challenges was like the role of George Martin: to be the best facilitator that I could be to help people move to the best resolution of their challenges that are possible in the circumstances. I am not saying that I have the great man’s experience and genius – but I can see how change happens when it is facilitated in the best way possible.